A nation as large, varied and complex as Russia can be visited in many different ways: from visits to the two main capitals, Moscow or St. Petersburg, excursions to more rural areas such as the cities of the Golden Ring or Veliky Novgorod or doing the Trans-Siberian route by train. In this post I will explain you the main available options when visiting Russia, depending on the time you have. These three routes can be combined. For example, you can visit Moscow and also some of the cities of the Golden Ring or begin doing the Trans-Siberian route from Saint Petersburg. The rest of tourist destinations are already at a great distance, like Kamchatka or Altai, attractive destinations but for the more adventurous travelers. Depending on the days you have, your budget and your preferences, you can plan the most diverse itineraries. The most classic itinerary for all those who visit Russia for the first time is the one that combines the two main Russian capitals: Moscow and St. Petersburg. St. Petersburg is the most “European” of the two and you can find there one of the most famous museums in the world, the Hermitage, while Moscow is a cosmopolitan city that combines history, culture and a great heritage of the Soviet era, whose visit is always starts from Red Square. From July 21 to July 25, 2017 (4 nights): stay in Moscow. July 25, 2017 (1 night): overnight train transfer from Moscow to St. Petersburg. From July 26 to July 30, 2017 (4 nights): stay in St. Petersburg. To the usual question of how many days can be spent in Moscow and how many in St. Petersburg, I would say that spending half a day in each city is ideal, though this will depend on each one’s preferences. While Moscow is an immense city with plenty of places to visit, St. Petersburg is a not-so-large city, but it’s worth visiting the nearby cities to visit the Peterhof Gardens or Catherine’s Palace in Pushkin. In Moscow, it is also well worth to spend one day to make a trip to one of the cities of the Golden Ring of Russia and discover the most rural Russia. Also, on the journey between Moscow and St. Petersburg, it is also well worth to visit the old town of Veliky Novgorod. Of course, doing these visits means having more days of travel. 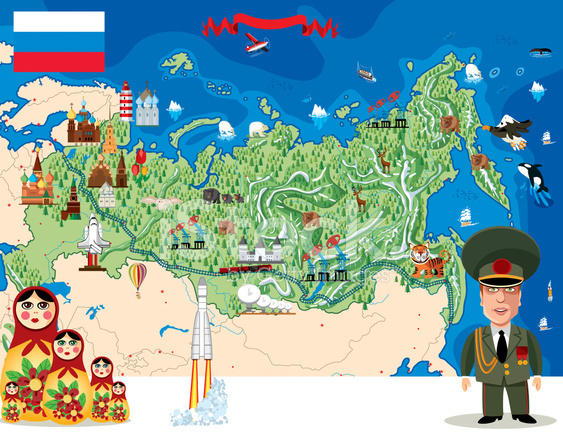 Travel between Moscow and St. Petersburg: which is the best way? If you only have a weekend (around 2 to 4 days), I recommend to visit only one of the two main cities, either Moscow or St. Petersburg. There will be time to visit the other capital on a future trip, since you will lose a lot of time going from one destination to another. However, this is a decision that will depend on each one. If you are traveling with a cruise that will be two or three days in the port of St. Petersburg, it’s not recommended to visit Moscow since you will lose a lot of time. Take advantage of these days to visit the Hermitage, the Peterhof or Catherine Palace. If you are going to take a multi-hour plane stopover in Moscow and want to see Red Square and its surroundings, it is convenient to know that it takes at least 7-8 hours, since the transfer from the airport to the city centre (and return) can take quite a while, depending on the transportation you use and traffic. In this case, you will have to request a transit visa. The main route, opened in 1904, linked Moscow with Vladivostok, on Russia’s Pacific coast after traveling 9,288 kilometers (the red line on the map below). The line crosses 8 time zones and it requires 7 days of travel, but it’s usually to do so with stops in major cities. The Trans-Mongolian (purple line on map). It is the most popular route and goes from Moscow to Beijing via Mongolia and its capital. The Trans-Manchurian (yellow line). It also makes the journey from Moscow to Beijing but without going through Mongolia. Moscow: 3 nights to visit the city (Red Square, Kremlin, the Mausoleum of Lenin, etc.). Yekaterinburg: 1 night (city center, Cathedral of the Spilled Blood or the obelisk that marks the border between Europe and Asia). These routes can be extended further. For example, instead of beginning (or ending) in Moscow, you can choose to do from St. Petersburg. From Beijing you can also go to Vietnam, or from Vladivostok you can catch a ferry to go to Japan or Korea. The possibilities are varied. Everything depends on the time and budget you have. Routes can also be shortened. Depending on the time you have can do only the Moscow-Irkutsk route or extend it to Ulan Bator. You can also leave Beijing and end in Irkutsk. Have you done any of these routes? What has been your experience?